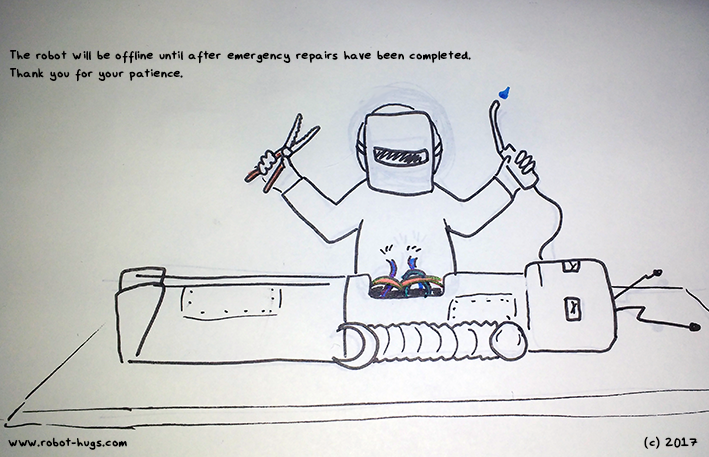 the robot will be offline until emergency repairs have been completed. thank you for your patience. Hey, I’m going to be taking a brief hiatus until after my surgery next week, but I’ll be thinking nice thoughts about all of you until then. I may post some stuff, but maybe not! The robot is a fickle egg.